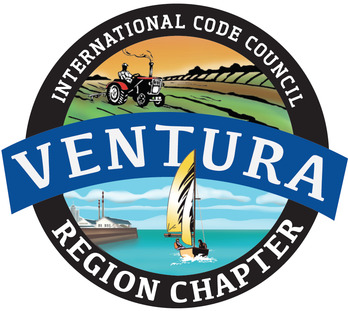 Welcome to the website of the Ventura Region Chapter of ICC. The Ventura Region Chapter represents twenty-six members in the Ventura region, including consulting firms and representatives of the construction industry. The main goal of this chapter is to provide support, and create uniformity and consistency between all building department jurisdictions throughout the region. Member involvement and participation is crucial to the success of the chapter and its membership. The Ventura Region Chapter of ICC monthly business meeting is held on the third Wednesday of each month at 12 noon. Please arrive by 11:30 a.m. for registration and catered lunch. Join us at our next monthly meeting on Wednesday, April 17, 2019. Our meeting in May will be held on Wednesday, May 15 with a Presentation by Rich Geary from Hoover Treated Wood Products.